The St. Paul Evangelization Institute got its start as St. Paul Street Evangelization. St. Paul Street Evangelization is a grassroots, non-profit organization dedicated to responding to the mandate of Jesus to preach the Gospel to all nations by taking the Catholic Faith to the streets. Christ’s call to evangelize was made to every Catholic Christian, and the Second Vatican Council reiterated this need, urging each of the baptized to bring the Gospel, found fully in the Catholic Church, to a culture that has largely reverted to paganism. 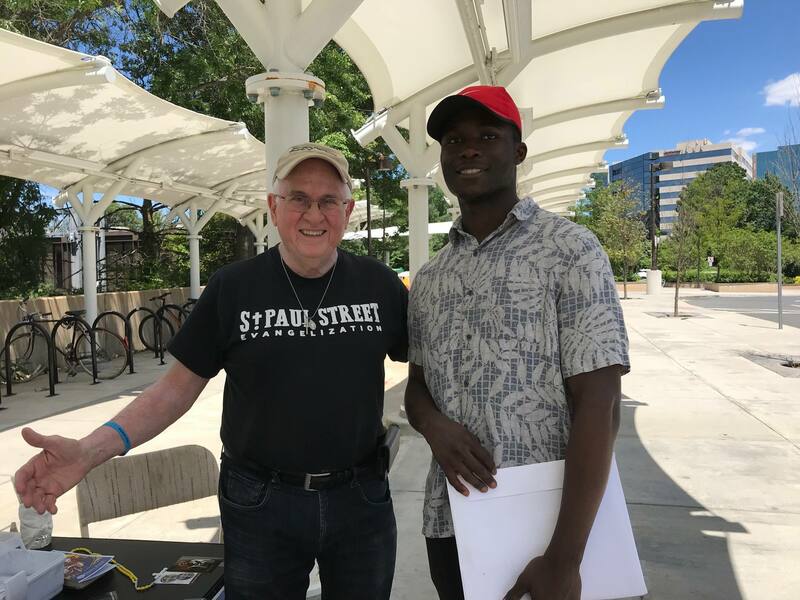 As an on-the-street Catholic evangelization organization, St. Paul Street Evangelization provides an avenue for people to share the Person of Jesus Christ and the truth and beauty of the Catholic Faith with a hungry culture. Founded in May 2012, St. Paul Street Evangelization provides the tools and resources for Catholics to engage the culture in a simple, non-confrontational method of evangelization which involves making themselves available to the public to answer questions about the faith and to pray with those who request it. Our street ministry has been blessed with tremendous growth and now has teams throughout the United States and the world. But a person might ask, “How can lay people evangelize the Catholic faith so publicly? Isn’t that the job of priests and bishops?” The Catechism of the Catholic Church states, “Lay people also fulfill their prophetic mission by evangelization, ‘that is, the proclamation of Christ by word and the testimony of life.’ For lay people, ‘this evangelization acquires a specific property and peculiar efficacy because it is accomplished in the ordinary circumstances of the world’” (CCC 905). As a non-profit Catholic organization, St. Paul Street Evangelization works in cooperation and obedience to the Catholic Church and her Magisterium. 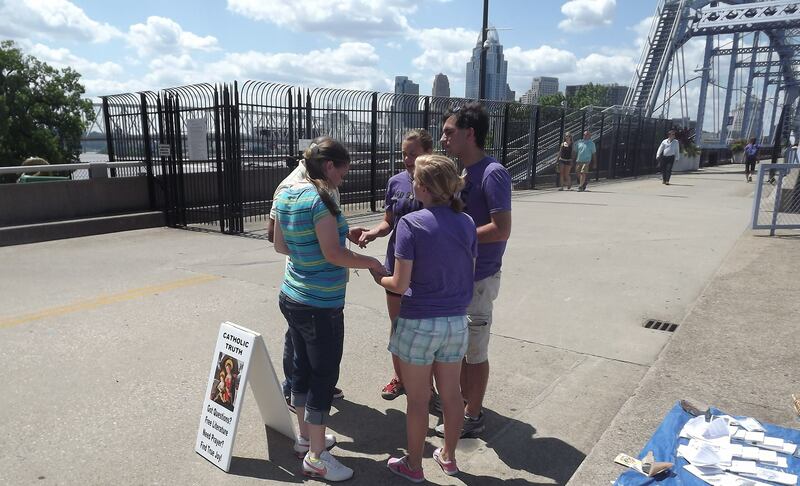 Armed with a simple sign, pamphlets and Rosaries, our evangelists take to the streets, going wherever people are gathered – on a street corner, at a festival, or even at a football game. Our teams always begin in prayer. 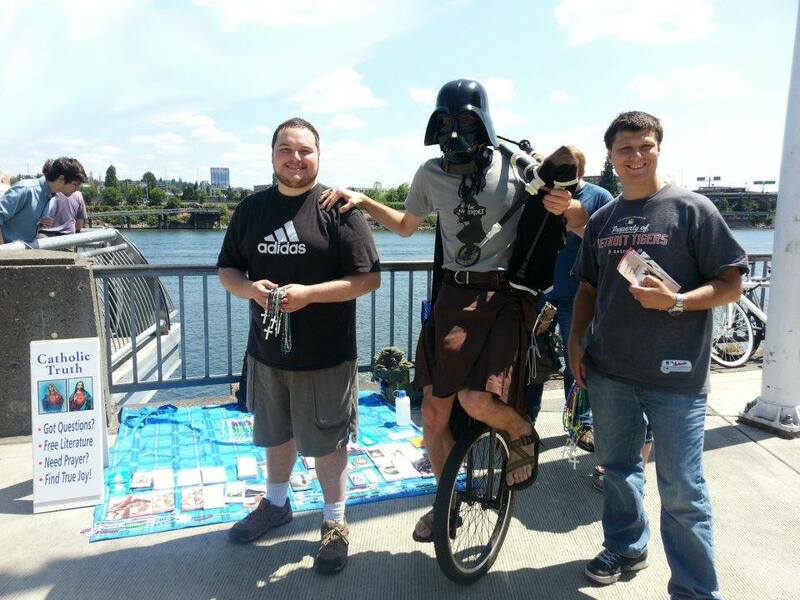 Unlike some forms of street evangelization which seek to forcibly proselytize those passing by (for example, by yelling, displaying confrontational signs, or preaching loudly), We employs a non-confrontational method rooted in joy, maintaining a peaceful presence and evangelizing through conversation. Initial contact usually takes place by the offer of prayer or a free rosary. St. Paul Street Evangelization has found this non-confrontational approach to be very effective at strengthening the faith of practicing Catholics, bringing back into the Faith fallen away Catholics, and clearing up misconceptions about the Faith held by non-Catholics. It is the mission of SPSE to work with God for the conversion of the whole world to the Catholic faith. SPSE evangelists seek to plant seeds, till the soil, make sure the people they talk to know that they are loved, and reap the harvest in God’s time. Our motto is “to listen, befriend, proclaim the Gospel, and invite” a person to conversion, prayer, and community. The goal of St. Paul Street Evangelization is not to win arguments but to share the love of Jesus Christ with a hurting culture that is seeking truth. SPSE recognizes that to be an effective witness for Christ and His Church, one must seek to live a holy life. As Pope Paul VI wrote in Evangeli Nuntiandi, “For the Church, the first means of evangelization is the witness of an authentically Christian life … ‘Modern man listens more willingly to witnesses than to teachers, and if he does listen to teachers, it is because they are witnesses’” (sec. 41). To this end, SPSE is looking for intentional disciples who are ready to become missionary disciples. When out on the streets, the evangelists of SPSE share the hope that is in them so that the world sees the salvation of God through the Church that He founded. We dare to evangelize not because we have done any great thing, but because God has done a great work in us, and for that, we are humbled. A person does not need to be a theologian or professional apologist to be an effective evangelist. He only needs to have a heart for Jesus Christ and His Church and be willing to share it with others. In 2018 our board of directors discerned the need to found an institute in order to sustain the growth of our apostolate. The St. Paul Evangelization Institute oversees the development of St. Paul Street Evangelization as well as the St. Paul Society of Evangelists and the St. Paul School of Evangelization. The Society of Evangelists was founded in 2018 as a group of Catholic laymen who intend on creating a Society of Apostolic Life. The brothers will get their start as a private association of the faithful, and grow from there. By God’s grace they may one day be consecrated as religious brothers, or ordained to the service of the Church. 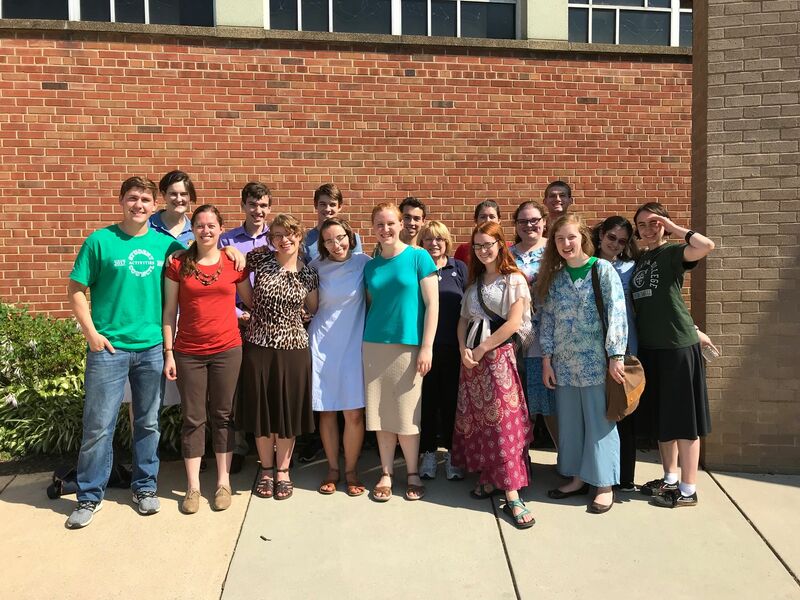 The School of Evangelization was founded in 2018 as an answer to the great need to develop disciple-making disciples in the Catholic Church that go beyond the work of street evangelization. The school will have online and onsite components, and is launching in the fall of 2018. Please continue to pray for our work as a lay-driven, grassroots, apostolic, Catholic organization!